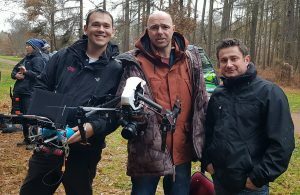 Sky One, Sick Of It production drone hire. Brand new series where Karl Pilkington co-creates and stars in this comedy drama about a crotchety cabbie and his inner self, who’s not shy about speaking his mind. Episode one is on Sky One at 10pm on 27th of September. Find out more about our production services, click here.